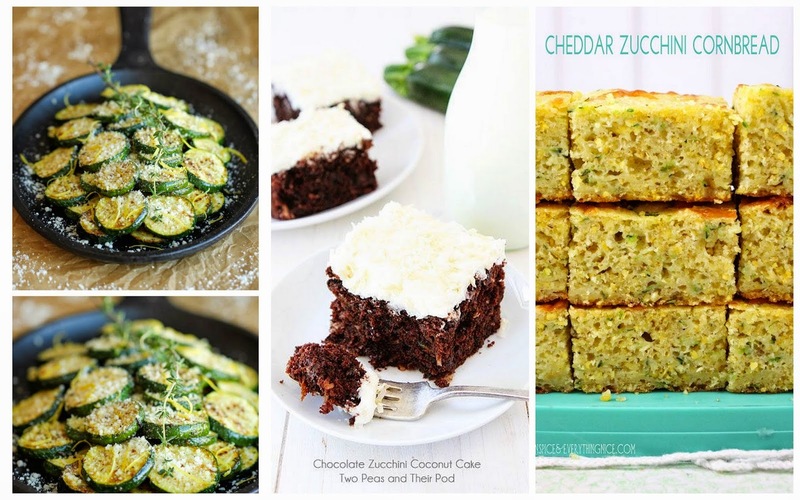 Now that our summer garden has started to harvest it's that time of year when you have more zucchini then you know what to do with, and we only planted one plant this year! Though I'm not complaining because I love the stuff, but we probably have enough picked right now to make all of these recipes that I found. Since they all sounds so good, that's a good thing! Whatever we don't go through I plan to shred and freeze so I can throw it in recipes later. 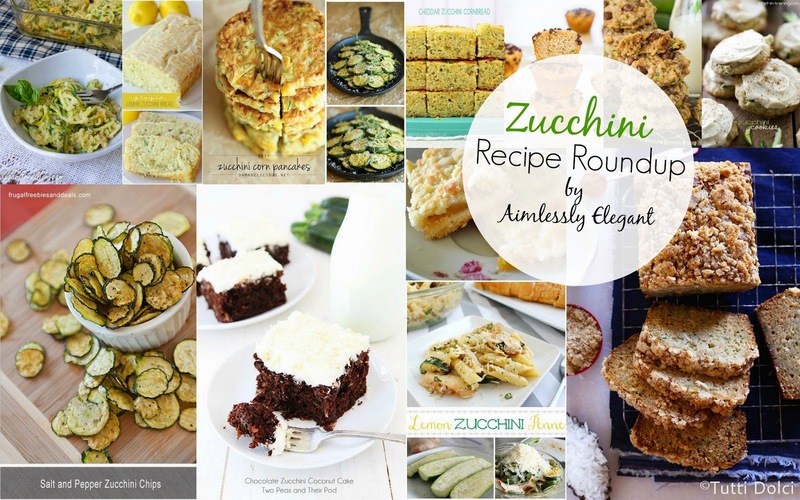 Here's my round up of some yummy looking zucchini recipes in blogland. 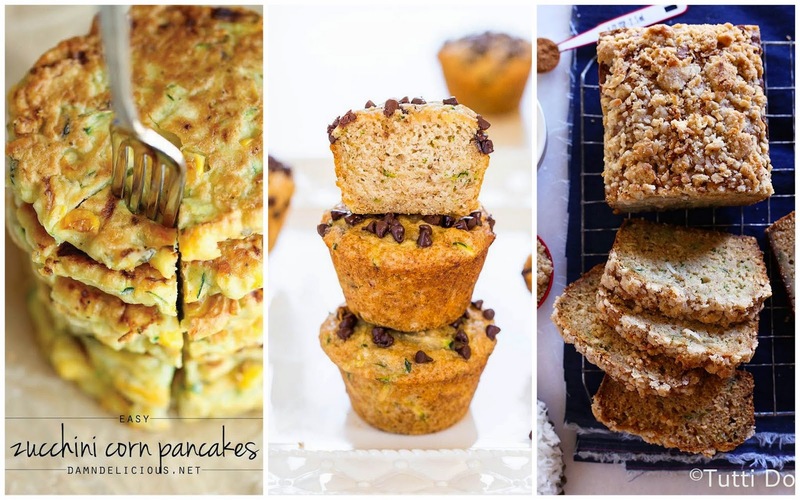 I may have favored more of the sweet recipes due to my own sweet tooth, but there are some savory ones in the mix as well. 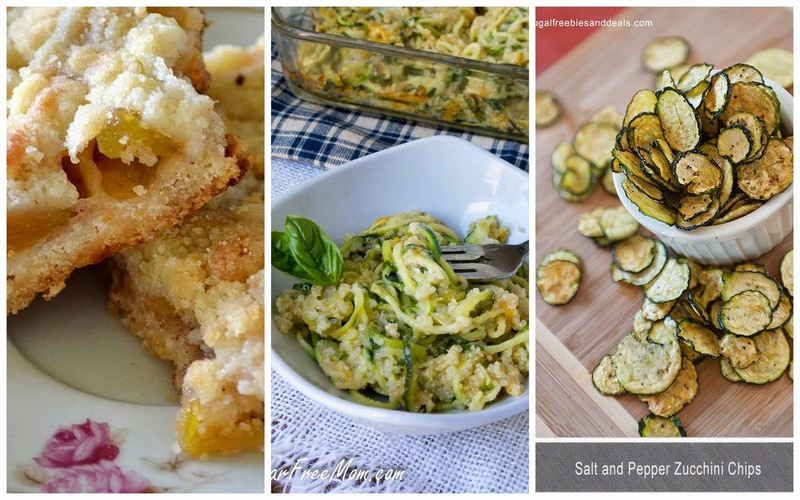 What's your favorite zucchini recipe? These all look so yummy! When my parents came last weekend, my mom brought me a loaf of zucchini bread with chocolate chips and pecans in it - I seriously can't get enough. I know, that's my trouble whenever I bake something - I end up eating the whole loaf! 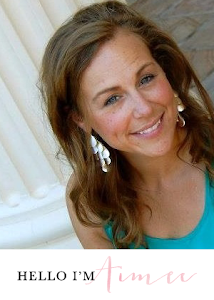 Hi Jenn, Thanks so much for stopping by! 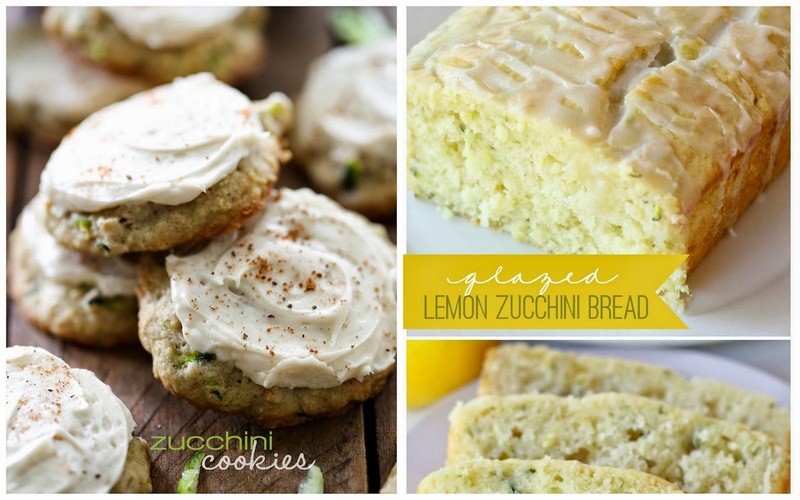 Those two recipes you mentioned sound great, and easy - which is most important! I am also watching what I put in by body all the time so I am constantly subbing out or making changes in these recipes I find, but I think they still turn out great- if not better. I just run into trouble with the frosting, I like the regular stuff too much, but I'm trying to avoid excess sugar so I have a couple alternatives I have yet to try. Thanks again! 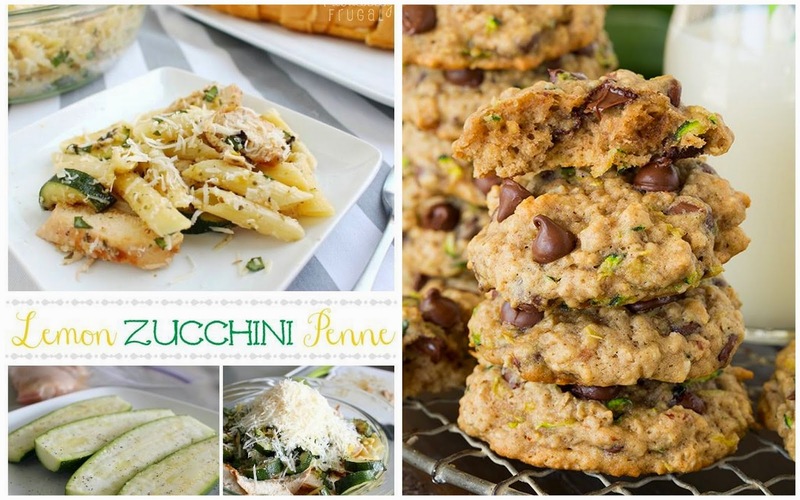 Zucchini is one of my absolute favourite foods, I love this! Definitely pinning for future reference! It really is so versatile, hope you give some a try!